Prescott’s creeks suffered from many years of human abuse, but the trend since 1995 has been toward better protection and management. 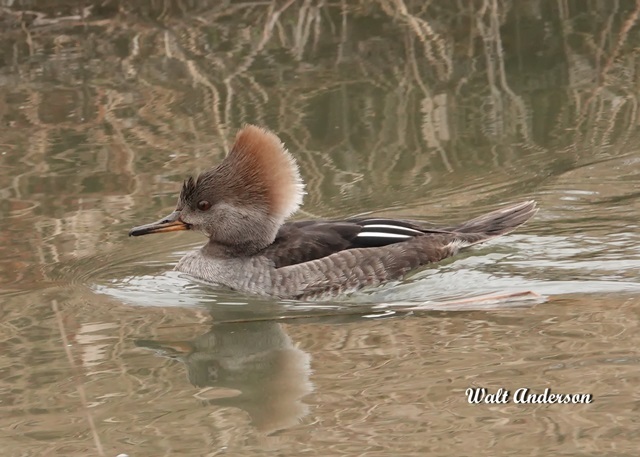 Wildlife populations along the creek, including spectacular waterfowl like Wood Ducks and Hooded Mergansers, have rebounded significantly, but development threats to Granite Creek and the spectacular landscape of Granite Dells have awakened citizen efforts to save as much as possible of the remaining wildlife habitat. The entire community—people and wildlife alike—stands to benefit. The City of Prescott lies in a bowl formed by the Bradshaw Mountains and Sierra Prieta. A half-dozen small creeks running through the city converge into Granite Creek, which is impounded as Watson Lake as it leaves the City. Below the dam, the creek winds through the spectacular rock formations of Granite Dells. Then it descends into valley alluvium until it reappears at the surface just above its confluence with the headwaters of the Verde River. As was typical during early settlement days, the creeks became the dumping grounds, industrial sites, and sewage drains, but gradually, the perceived value of the creeks rose with better understanding of both health/safety issues and aesthetics. In 1995 the City of Prescott and the non-profit Prescott Creeks established a 126-acre preserve known as Watson Woods in what had been a highly altered floodplain used for gravel extractions and garbage-dumping just upstream and south of Watson Lake Reservoir. 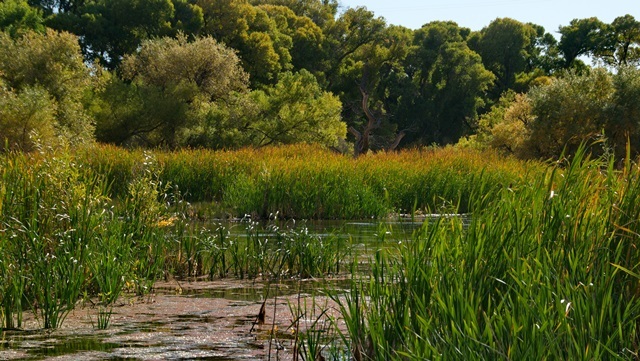 Passive and active restoration efforts have resulted in amazing recovery of riparian woodland and marshland, and in 2011, this area was recognized as part of the Watson and Willow Lakes Ecosystem Important Bird Area (IBA). It is an impressive example of how a highly degraded area can become prized “natural area” benefiting people and wildlife alike. Downstream from Watson Woods, the large reservoir provides abundant outdoor recreation and waterfowl habitat. The abundance of water birds and introduced fish attracts species high on the food web, including Bald Eagle, Peregrine Falcon, Osprey, and White Pelican. The creek itself supports several pairs of the rare Common Black Hawk, and Yellow-billed Cuckoos have nested there. Two of the region’s most colorful duck species occur here: the Wood Duck and the Hooded Merganser. 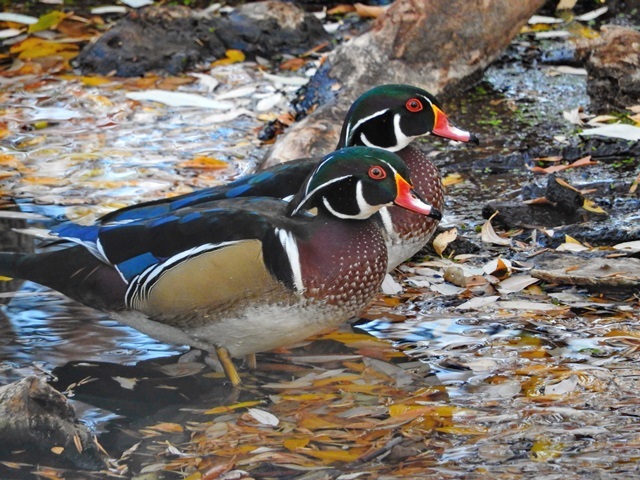 The intensely colorful Wood Duck is a rare breeder in Arizona, mainly nesting here on Granite Creek and in parts of the Verde Valley. It is a year-round resident, at times gathering in small flocks of up to 50 birds but often in small parties along the creek. At times the birds move to Watson or Willow Lakes, but most of the time, they occur in the wooded riparian areas. 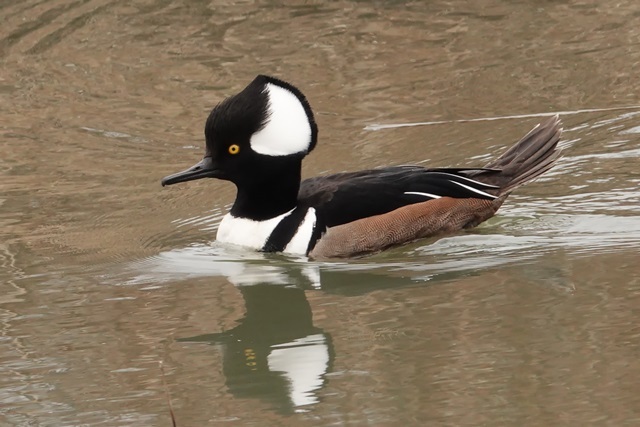 The Hooded Merganser is a wintering migrant, spending time here between October and April, then nesting in northern states and southern Canada. 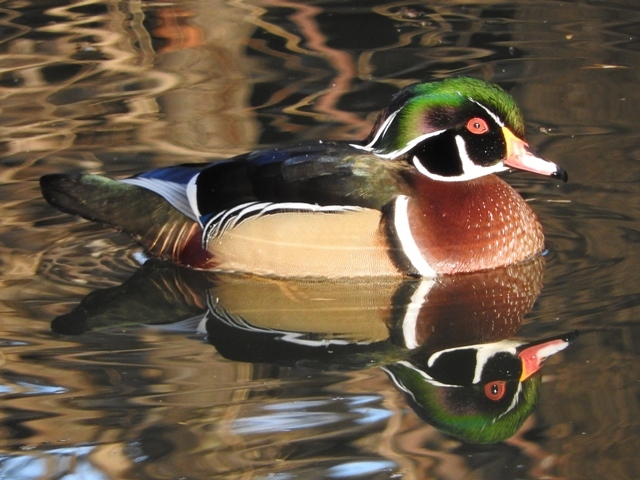 They are more likely to be seen on open lake waters, but they frequent Granite Creek at times, their own colorful patterns rivaling those of the Wood Ducks. Deer, bobcats, foxes, raccoons, and other mammals thrive along the creek, and both resident and migratory birds are well-served by the healthy riparian community that has returned after decades of abuse. Many birds rare in Arizona have been sighted in this riparian oasis. So while we celebrate the return of wildlife in the once-destroyed Watson Woods area, we are mindful that the integrity of riparian areas downstream from the dam and in valleys within the Granite Dells could be severely compromised without immediate attention to protection and management. Fragmentation of habitat, as so often occurs with poorly planned development, is a major threat to wildlife populations. It has been said that a landscape without wildlife is mere scenery. Today, people hiking, biking, and horseback riding on existing trails around Granite Creek and the Dells are often treated to wonderful wildlife sightings, and there is no doubt that wildlife contributes to high-quality recreational experiences. Prescott is growing rapidly, and development is putting pressure on remaining unspoiled lands. While the City has an excellent trails system, there is potential for creating a much larger interconnected public open space system, which proponents, such as the non-profit Granite Dells Preservation Foundation, are envisioning as a Granite Dells Regional Park. This would include accessible developed sites such as at Watson and Willow Lakes, as well as wild peaks and valleys in the one-of-a-kind Granite Dells ecosystem, which the City already touts as its top scenic natural attraction. This vision could be accomplished through land-use zoning for functional open space in planned area developments and also through fund-raising for additional land acquisition. Success will depend a great deal on winning the support of City Council members, whose decisions will ultimately determine what kind of city will result. 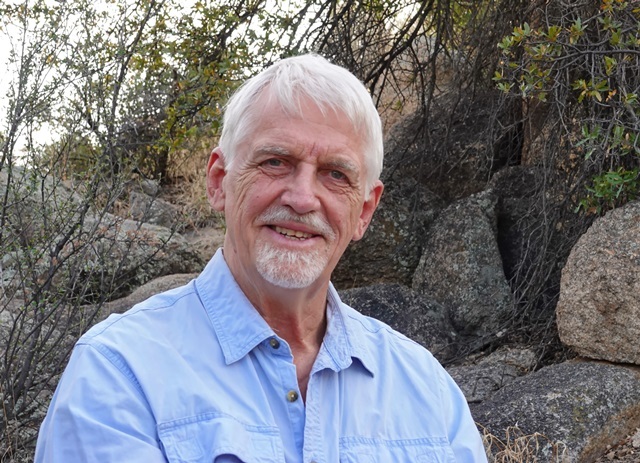 Walt Anderson taught classes (including Wetland Ecology & Management, Wildlife Management, and Natural History & Ecology of the Southwest) at Prescott College for 27 years. 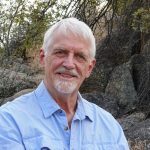 He is a wildlife artist, photographer, and international expedition guide who devotes a large share of his time to conservation issues, including serving with the Granite Dells Preservation Foundation. Posted in Arizona Humanities, Water/Ways, Water/Ways Arizona.